I have been fooling around with this blog again, now that my energy is coming back, and have decided that two blogs a week (Sunday and Thursday) are perfectly sufficient for now – for myself (to make myself feel productive) and for all of you readers (so that you don’t have to read too much of my drivel). Now and then there will be a special post – like this one – but they will almost always be short or topical or informational or seasonally-oriented. Happy Christmas from your sleepy little friend . . . . I was walking across the Point Street Bridge recently, here in Providence. There’s an ancient wooden piling / dock beneath the bridge, which is now terribly rickety and unsafe. But the birds love it. There are always gulls and ducks there, and sometimes egrets and swans. And almost always there are cormorants: lithe delicate birds with slender curving necks and broad wings, which fly low over the water’s surface and dive quickly to snap up fish with their sharp little beaks. 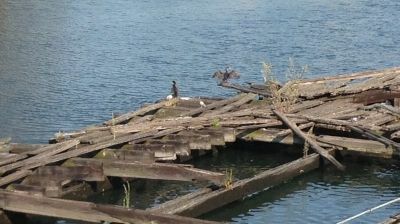 The cormorants were resting that day. It was warm and humid, but there was a pleasant quiet breeze blowing off the land toward the ocean; I could feel it up on the bridge, and the birds on the piling could feel it too. Maybe Cathleen is right. 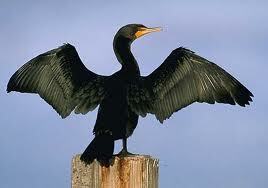 But I prefer to think that the cormorant was dreaming about flying. It does my heart good to see things like this. Not very many things make me truly happy, now that I’m a sour old codger. Partner makes me happy, and once in a while Apollonia or Cathleen says something that makes me laugh. But seeing that bird in imaginary flight made me happy. Sometimes small things – a flower, a tree, a bird – take us out of ourselves; they make us realize that life isn’t as difficult as it might be, and that sometimes there are moments of pure unconsidered joy. Which brings me to Elinor Wylie. Elinor’s poetry is mostly forgotten nowadays. She was active in the 1910s and 1920s, and died in 1929. She’s a minor poet, but (I think) an important one. I have bits and pieces of her verse rattling around in my head all the time. Where this small flower never blooms. In Tove Jansson’s Moomin books (which you should read, if you haven’t), there’s a character – a Hemulen, if that means anything to you – who collects stamps. He finally collects all of the stamps in the entire world. He despairs, because now his life has no purpose anymore. But then he realizes: he can start collecting plants instead! His life has meaning again! I love plants. I don’t have a garden, which means I subsist on a few houseplants and a few office-grown things (which I’m very proud of, as they’ve grown extraordinarily). So, when I walk back and forth to work, I examine the gardens and yards and fields I pass by, and I identify the plants I know, and I puzzle over the ones I don’t know. The one above, for example. What is it? Yellow vetch? Alfalfa? Nope. I finally identified it. 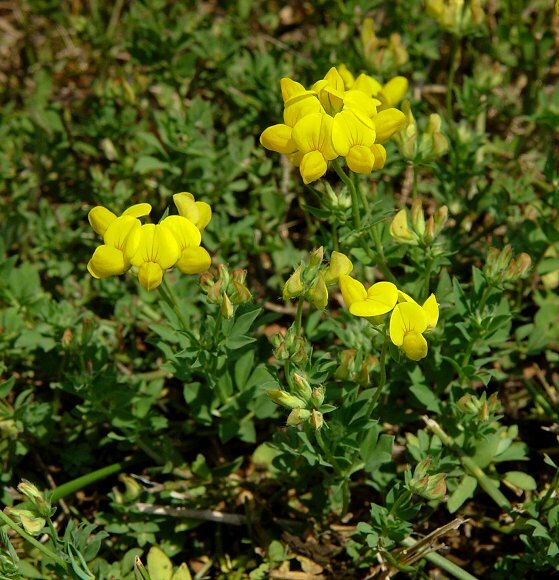 It’s Lotus corniculatus: bird’s-foot trefoil. I walk by a field full of it every morning on my way to work. First I noticed them out of the corner of my eye, thinking I knew what they were. Then I took a closer look, and realized I wasn’t so sure. I checked the leaves the other day, and now I’m sure. It’s L. corniculatus, all right. Any day upon which I identify a strange plant is a good day. It gives my life a tiny bit of added meaning. I think I must be a Hemulen. The Providence area is full of wildlife. I wrote about fisher cats not long ago, nasty weaselly things prowling down by the riverside. Foxes are being seen this summer all over the East Side (though I haven’t seen one yet, and I would love to, because I think they’re cute). Bunnies are everywhere. Ditto big ugly garbage-eating raccoons. Ditto possums, one of which hissed at me a few years ago when I passed it on the street. 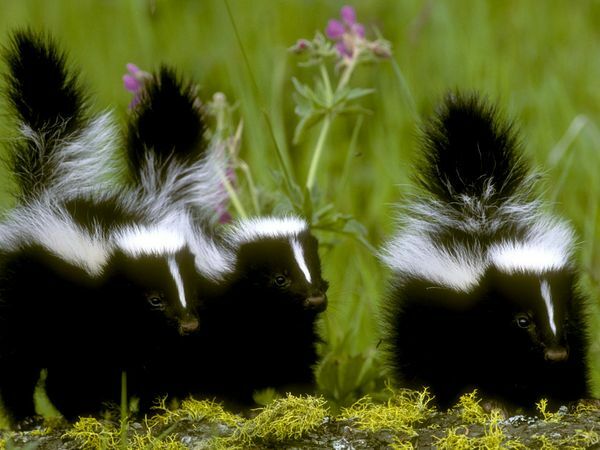 And then there are skunks. They’re always smaller than I think they’re going to be, like kittens. Their colors are lovely. But they’re alarming, for obvious reasons, or maybe just for one very obvious reason. I was coming out of the local market one recent evening. It’s only about two blocks away from our apartment, and I have my choice of two routes home: a dull route that goes straight down the avenue, and another much more interesting sidewalk that winds up the hillside and is surrounded by shrubbery. I usually choose the winding sidewalk for the sake of aesthetics (even though I know that robbers and muggers are probably waiting among the shrubs to jump me), and so I did the other night. That was enough for me. I thanked Mr. Skinny Bicycle for saving me from a fate worse than death, and went home via the dull safe route. “Did you see ‘Scaramouche’ on Turner Classic the other night?” I asked Apollonia the other day. We both laughed. “Same thing,” she said. Now we were both laughing like idiots. Off in the corner there was a table of younger staff members, listening to us. They stared at us as if we were patients in an asylum. We were aware of them. But we kept laughing. No, more than that: we laughed even harder because they were staring at us. Does any of the above make any sense to you? 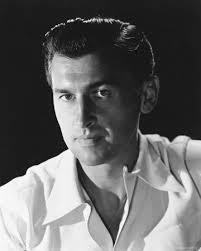 Do you know who Rory Calhoun was, or Stewart Granger? Does “Turner Classic” mean anything to you? It’s a habit of the elderly to mumble and cackle over the past. But this is a game we elderly people like to play: making reference to things that happened long before the other people in the room were born. It’s a way of getting even with those young people, with their music and their slang and their television programs that we’ve never heard of, and their texting jargon that we still haven’t quite figured out. This is one of the great pleasures of the elderly: to make younger people uncomfortable. Recently our office converted to a recycling scheme, and we require our staff to separate their recyclables from their non-recyclables. Most of them do it; some don’t. This shocks me. Don’t they care? Don’t they understand? That’s one issue. Then there’s the issue of the volume of the garbage we produce. 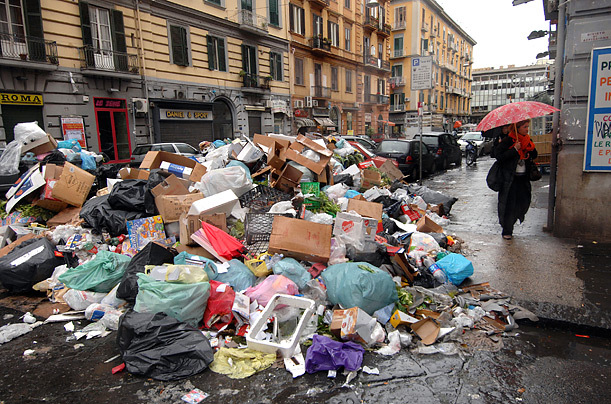 Partner and I, between the two of us, produce at least three or four thirteen-gallon bags of garbage per week. What is it? Newspapers. Food waste. Food containers and boxes. Wrapping paper. Plastic bottles. Junk mail. Waste tissues, and paper towels, and napkins. 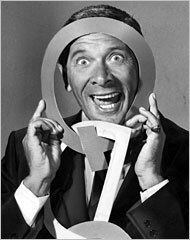 I took a bag out to the garbage this evening, and it weighed at least ten pounds, and it was maybe two days’ worth of kitchen garbage. Partner and I aren’t doing this on purpose, I swear. Nothing is going into the garbage that we can reuse or repurpose. I try to do everything I can to reduce waste. I minimize wrapping. We take our own reusable bags to the grocery store. I buy perfectly normal groceries. And yet we’re producing garbage like hooligans. What the hell’s wrong with us?